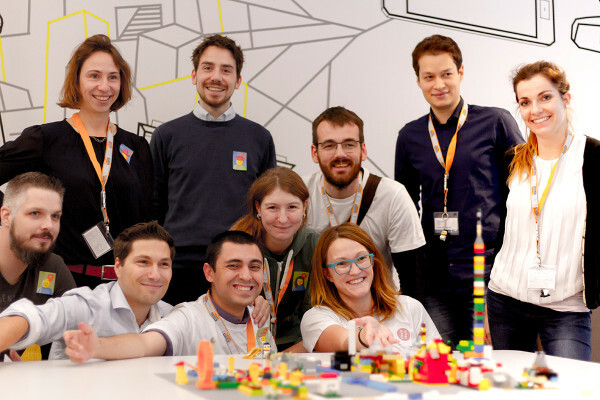 On 19th/20th of November we participated in Distributed Agile Teams in Berlin. 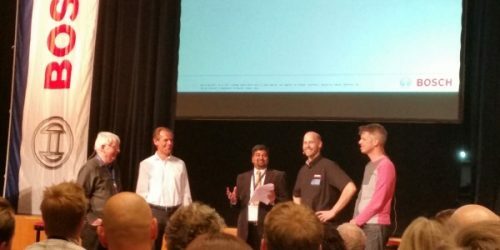 The amazing conference was full of interesting discussions and interactive workshops where one could try new tools and best practices for distributed and agile teams. We also brought in two of our eteoBoards and additional equipment to simulate the work among two locations but one team. 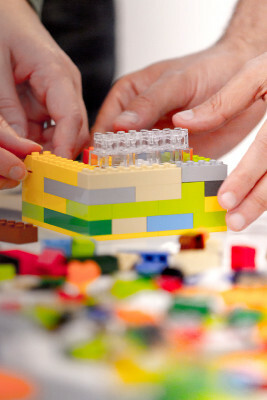 We want to share our experiences and ideas for boosting teams with a LEGO®workshop. 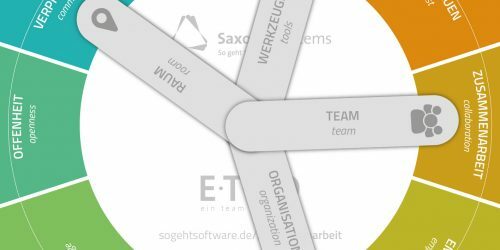 At Saxonia Systems we developed eteoBoard and ETEO concept to support teams which are working simultaneously on the same task. The credo of ETEO is ‘Two locations but one team’. The workshop participants should learn about the obstacles in distributed work and how they can overcome them with the help of agile principles. Therefore, we prepared a product backlog for building a complete LEGO® city with streets, houses, cars, hospitals, fire stations and so on. The task was to build the city together, to coordinate the work and to finally connect the parts of the city together. The location was really challenging. As we know, you need quiet and isolated locations to connect teams using a video conference system. We placed one eteoBoard in the cafeteria and the other one upstairs in the gallery. Both locations were directly connected by the lobby of Immobilienscout24 which implied the presence of background noise. We equipped both locations with a camera, a Thunderbolt microphone and a TV set to provide a permanent audio and video connection between both locations. The hubs for the conference system (both upstairs and downstairs) are InFocus’ Mondopads. 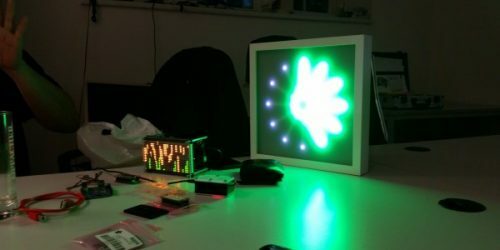 Both pads’ touchscreens show eteoBoard – a second display connected to each Mondopad is used as a virtual window to see the people the other location. We worked with a separate speaker – the InFocus Thunder Speaker for volume adjustment. The challenge was here to establish a stable connection. For some reason it was not possible to connect the boards via LAN cable, we used WLAN with acceptable results. We started the workshop with a short introduction and the Product Owner presented her vision of the city. Then we split up in two groups who began the work for one sprint. We decided to simulate only one sprint with some backlog items which we had prepared and prioritized. We decided to let the team organize itself on its own. 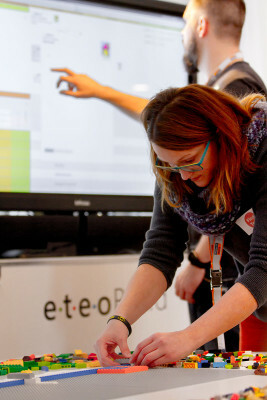 Only a few tasks were prepared by us in advance to give the team an impression of how to use the eteoBoard. The first task was to build streets and a river. The team started planning the city’s layout very quickly using the digital whiteboard. The interfaces of the city needed to be defined so that the pieces would fit together later. 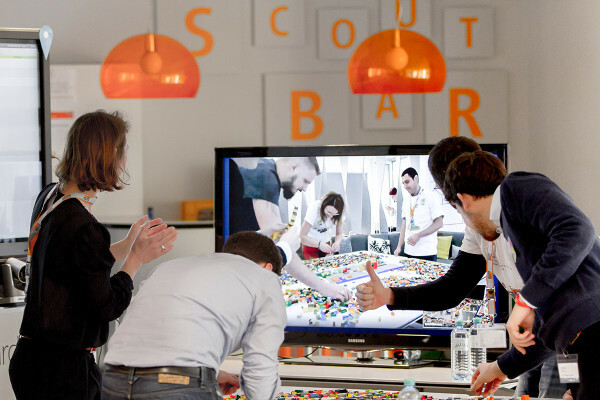 Then each teammate quickly started to pull a task and to work on some LEGO® items. However, it quickly turned out that new synchronization was needed. The scale of the houses, streets and cars had to be defined to ensure a consistent style of the city’s architecture. 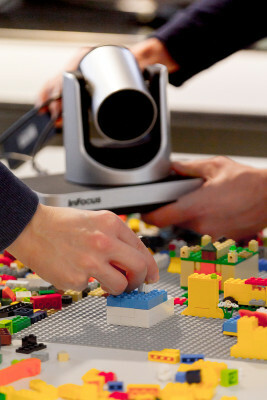 The teammates used the camera to share prototypes and to ensure a common sense of size for each piece. The teammates tried to synchronize each other with the help of the eteoBoard to define the next tasks and who would be in charge. Every 20 minutes a Daily was held which also exposed some difficulties. The first Dailies were rather chaotic. It was not clear who was speaking – also the camera positions were not adjusted. Some teammates were still building while others tried to do a Daily meeting. 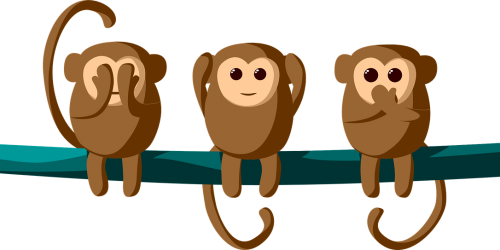 Although we encouraged them to name some kind of a Scrum Master, the team had some trouble to apply a role which would coordinate the meetings. Task breakdown also happened between the Dailies. 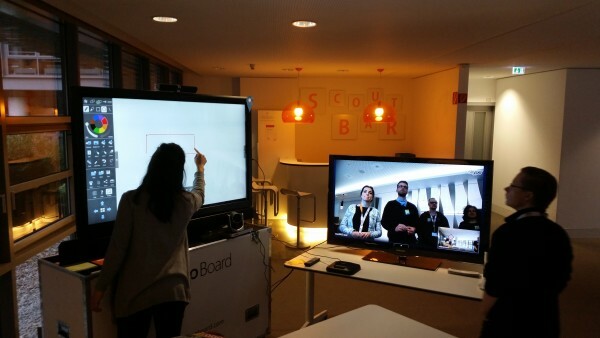 The eteoBoard helped the team to coordinate its work and to see its progress instantly. After the first hour the teams became really productive. 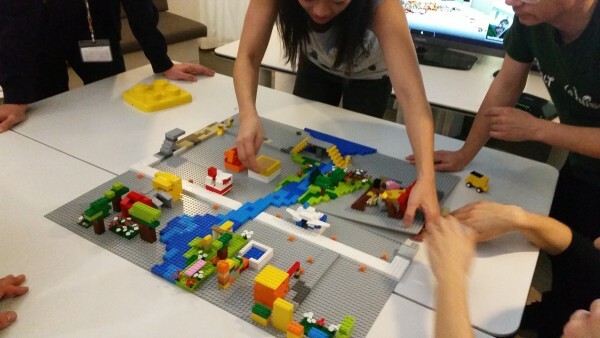 Each teammate dived into a flow and quickly produced houses, cars, gardens and animals. Finally, the upstairs (gallery) team moved their part of the city and attached it to the part downstairs. This was a very exciting moment for us and all team mates. According to the feedback of the first group, we decided to adjust the workshop’s process for the second group. 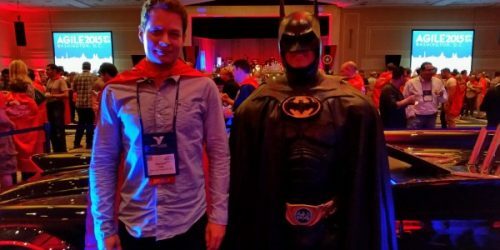 We offered to support the team with a Scrum Master role and to perform at least three sprints including planning, dailies, review and retrospective. While the first group had finished the city completely in the one sprint (in about 90 minutes) the second group was only able to finish the plan of the city and some streets in the first sprint (in about 20 minutes). However, during the retrospective the team discussed some practices how to perform the Daily, how to set up the camera and how to improve communication. While the first group seemed to work more chaotic the second group used dedicated synchronization meetings and adjustments with the help of the retrospective. The second team failed the first sprint, but in the last sprint they outperformed their commitment and also finished with a nice city. The setup of the hardware and the tools need to be well prepared. We had to improvise and to try different things to finally perform the workshop. However, this is always true in real life, when tools or hardware does not work properly. You need time for preparation and if there is some trouble you need to accept it and to try your best to keep things going. We learned this lesson again and also our workshop participants. 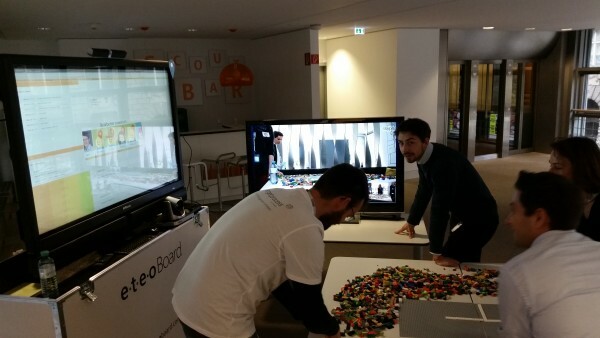 The eteoBoard helped the team to coordinate its work and to see its progress instantly. The video conference systems helped the team to communicate and to share their working artefacts. Therefore, the working team better gets an impression how to use the tools to enhance their working process. We also learned that doing iterations and retrospectives has a great impact on enhancing the distributed work. 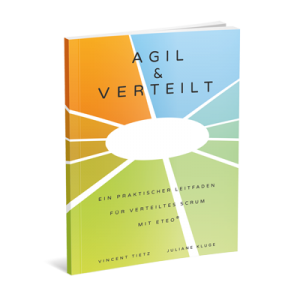 We think that this workshop setup can help teams start to work in a distributed environment to be sensitized for the challenges and the importance of implementing good Scrum. On the one hand these workshops have been good learning examples for the team, on the other hand they shows us how important it is to have 1) a proper distributed project room, 2) defined roles and processes, 3) adequate collaboration tools such the eteoBoard, and 4) a team which is engaged in distributed work. The direct communication between the teams is very important. We suggest that the planning day is at the same location, so that the people can talk to each other face to face. Technology cannot make up for face to face communication. The teams should came together – if manageable – in order to understand the project and to plan together. The requirements have to be made very clear for everybody. Distributed Dailies require high concentration and clear pronunciation of every participant. Some other tools can be used to support the distributed meetings, for example a pen and a paper in order to give signs to the other colleagues. We would like to thank all of our participants, the whole DAT-Team and Immobilienscout24 for their hospitality. We thank also Martin Opitz for giving us technical support and Christian Chalupka for helping us to write this article and his nice photos. Finally we would like to thank all colleagues at Saxonia Systems AG who helped us to design and to test the workshop concept.